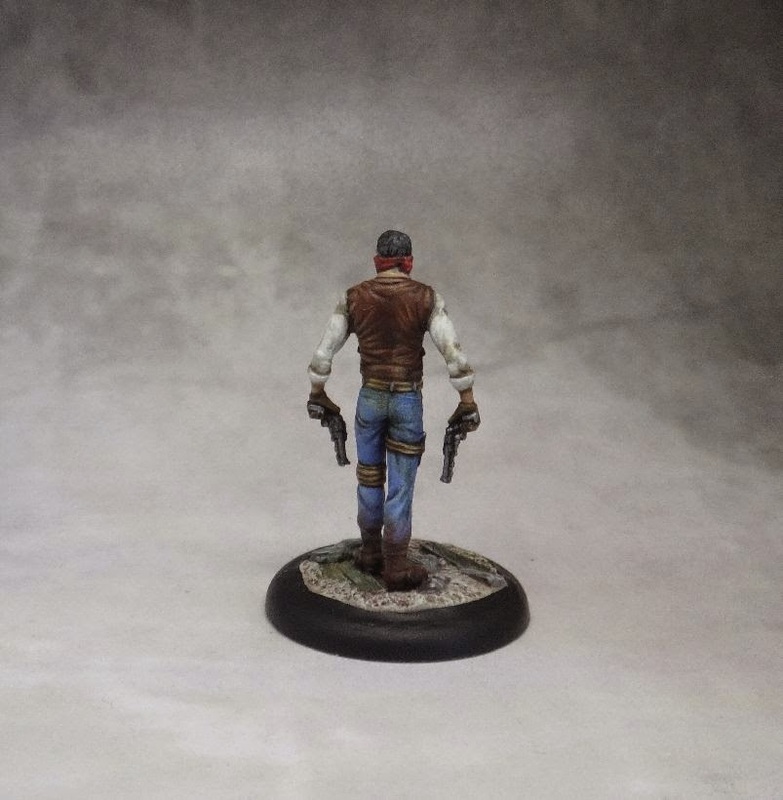 This was actually one of the first minis that I put together using TTB male set. I really liked the bandit-like head and the pose with two pistols held in both hands. I put him together without planning what model could he stand in for but after looking at him I decided he'd be a perfect fit for a Latiogo Pistolero (even though I already own three metal ones). 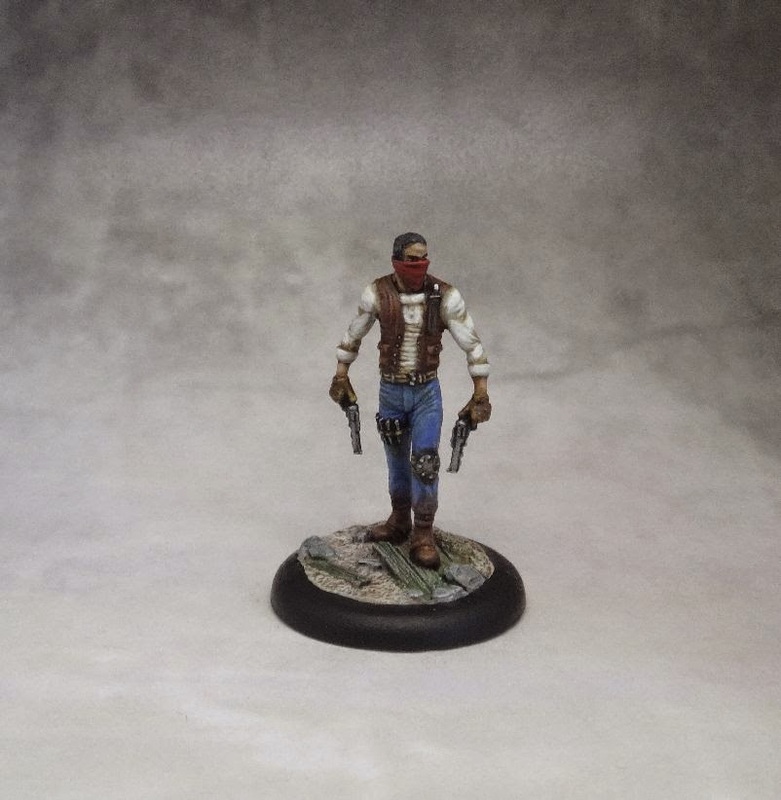 I chose a standard western-themed colors for him; jeans and a dark brown vest and used a suitable Wyrd base insert. Pistoleros are young men and women who hope to join the Ortega family. They help with various jobs and are determined to prove their worth. They have average stats but some of their skills can be very useful. In game you always want to activate them late in the turn. There are two reasons. First of all, they get positive flips when targeting models that have already activated before them. Secondly, they give a + to Df flips of nearby models. They aren't very resilient with low wounds number and low Df but at least they can Shrug off some effects as their (0) action. Their offense is not that bad as their weak damage is 3 (with a Ram). They are also Ruthless, which can help with targeting models like Kade or Candy. They also work well with Perdita as they have the "Family" word on their card, meaning she can always push towards them at the start of her activation.